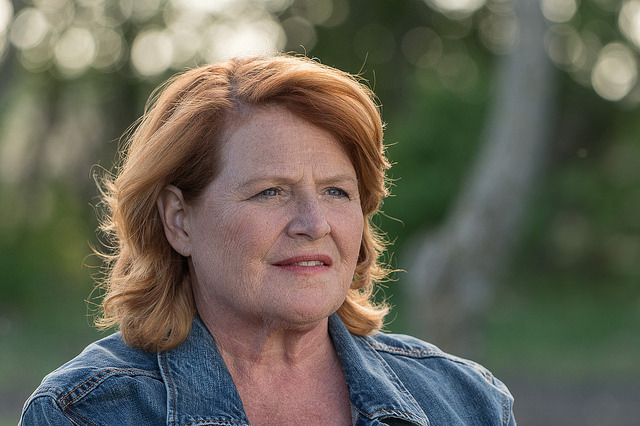 One of the leading conservative organizations, Freedom’s Defense Fund, has released a new video taking on Democrat Senator Heidi Heitkamp from North Dakota. “The Adventures of Phil and Billary” series put FDF on the map after the satirical cartoons went viral prior to the 2016 election. After helping to prevent a Hillary Clinton presidency, they have now set their sights on the North Dakota Senate seat. In the past, Heitkamp has sided with her liberal allies rather than her constituents, like when she cast the vote to block a late-term abortion ban. However, since Heidi is in a close race for her Senate seat this year, all eyes are on her record in D.C. Judge Kavanaugh’s confirmation vote could very well cost her this seat. Watch the video below, or head to their website.